Exercising first thing in the morning, before you eat breakfast, can actually help you lose fat! Just google “fasted cardio.” It’s all the rage these days! According to a study performed in Japan, exercising as soon as you get up starts the process of fat oxidation. During fat oxidation the large lipid molecules, aka fat, in your body break down. Jump starting that process will help you see the fat loss that you’re looking for. 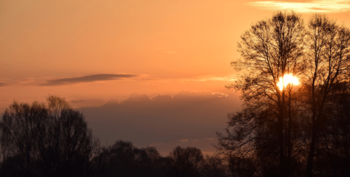 An additional study, performed in Belgium, also looked at the effects of exercising in the morning. When you wake up and haven’t eaten breakfast yet, you are in a fasted state, since you haven’t eaten during the night. Not only does working out in a fasted state begin the fat burning process, it keeps your body effectively burning fat throughout the day! You’ll feel better about eating the things you enjoy when you know your body is already working to keep you fit. And if you happen to be into intermittent fasting, this type of workout will work perfectly with your lifestyle! Who doesn’t want to start every day with clear, glowing skin? This is particularly effective in the morning when your face is fresh and bare from things like make-up, sunscreen, and dirt. Plus, working out indoors on your elliptical means that you don’t need to worry about slathering on the sunscreen that is a must-have for an outdoor session. 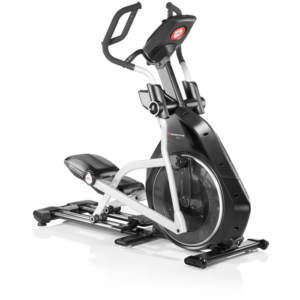 Bowflex BXE 216 Elliptical – Read our full review here. When you sleep your brain and your body functions slow down, so it makes sense that it takes a little while to start feeling awake again in the morning. Many of us grab a cup of coffee (or four) to start feeling normal again, but exercise produces the same effect without the need to keep chugging the caffeine. Increased blood flow is key to conquering that groggy morning feeling and exercising promotes that blood flow to both your body and your brain. Increasing the blood flow to the brain gets you feeling alert and ready to seize the day. Plus, you won’t suffer the inevitable jitters and crash associated with caffeine. When you’re tired and the thought of staying in bed is oh-so tempting, it’s easy to use the “it’s too hot/it’s too cold outside” excuse. But when you have your elliptical in your own home, those excuses no longer hold any power. Forget having to get all the way to the gym, remembering to pack a bag, or just simply getting out the front door. Exercising on your elliptical in the morning provides you with all the benefits of an early workout without having to leave the comfort of your own home. Waking up and rushing from the moment you open your eyes is never a good way to start the day. It can have you feeling like you’re constantly playing catch up, leaving you stressed and exhausted. Making the time to work out in the morning is a great way to give yourself a minute and get in a collected head space. It’s a chance for you to clear your mind, think through the things that need to be done that day, prioritize your tasks and then head into your day with a game plan. Planning your to-do list will help you stay focused and on-track throughout the day. When you get your work out in first thing in the morning that leaves the rest of the day open for all of the possibilities that come along! An unexpected meeting or phone call may force you to give up your well-laid evening work out plans, which can make you feel like you didn’t accomplish the personal goals you’ve set. If you’ve already checked that box before the distractions and demands of the day, you’ll carry that sense of accomplishment with you. Free time in the evenings also allows you to focus on other important things, like spending time with your family, catching up with friends or following your other passions! This way your workout is a part of your day that you can enjoy, instead of another obligation that seems to get in the way. 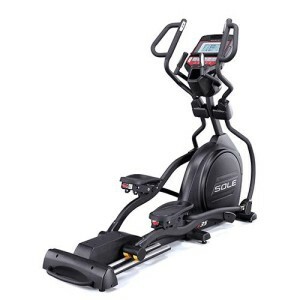 Sole e35 Elliptical – Read our full review here. Sitting slouched over in your chair at work, all day every day, has a profound effect on your posture. Waking up every day and hopping on the elliptical can help you maintain your posture and fight back pain. When you work out you are strengthening your core muscles, which support your spine and help to keep it properly aligned. Strengthening your core muscles when you exercise in the morning means that those same muscles will be able to support your spine throughout a day of sitting. 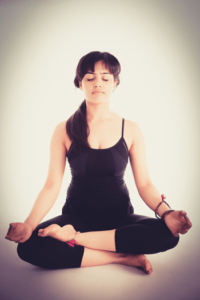 Good posture is also great for self-esteem and projects confidence. Use your morning work out to prepare yourself to walk into your day with your head held high! 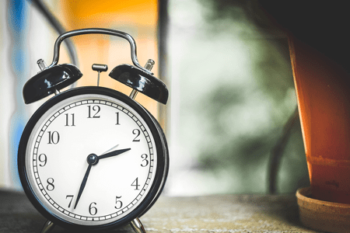 Keep these things in mind the next time you are tempted to roll over and hit the snooze button. Those extra 5 minutes of dozing definitely aren’t going to get you all of the benefits of a workout. It may not always be easy, but your mind and your body will thank you for it. To see our top recommended elliptical ratings and reviews, check out our Best Buy Ellipticals page.